On the other side of the continent it is getting colder and drier and the plants are having a tougher time. 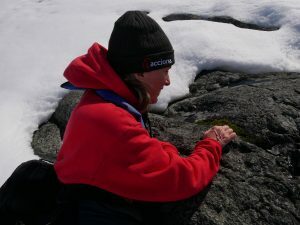 My team at the University of Wollongong has shown some East Antarctic moss beds are drying out and dying.1-3 So from pole to pole, and all around Antarctica, these tiny plants are recording how we are changing our planet. My team’s work shows that although these plants are tiny (a few centimeters tall), they can be hundreds of years old. 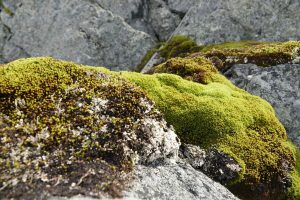 They are the old growth forests of Antarctica, home to tiny microscopic animals like water bears or moss piglets (tardigrades) springtails and nematode worms, fungi and microbes. We know the plants are hundreds of years old because as they grow, they lay down a signal of the carbon dioxide in the air. That means they are sentinels for our past, as well as early warning of possible global futures. These plants survive freezing winters, emerging from under winter snow for a brief summer of weeks to just a few months. They get their water from ice melt and their nutrients from ancient deposits of penguin poo, as well as more recent bird droppings. 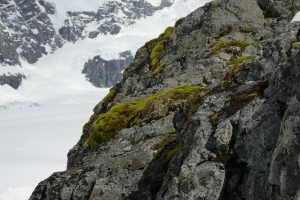 They grow all around the Antarctic coast, and it is exciting to think that we may be the first people to see some of these plants as they take over newly exposed land on the peninsula. Yesterday on 13th January, we saw a lot of moss growing near the Admirante Brown (Argentinian) Station. 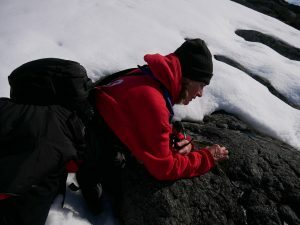 Based on their past visits, our guides on the Ushuaia were able to show us how fast the ice is retreating behind the station and we can see the moss that is colonising these newly exposed rocks. We saw many species of bright green moss on this one landing. The day was so warm, we could see tiny animals, small as a pin head, running around. These invertebrates live in the tiny moss forests and on warm days roam around the nearby rocks looking for food. I was excited to see my first Antarctic midge (Belgica antarctica), the wingless fly that is found on the Peninsula. 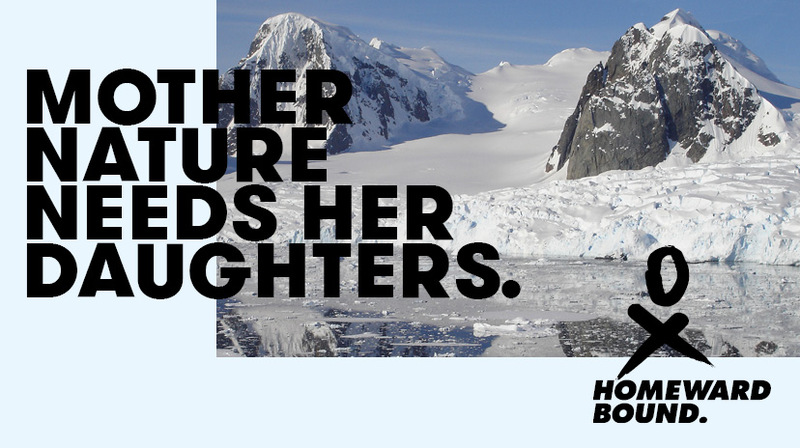 But there is also a sobering message of climate change in action. 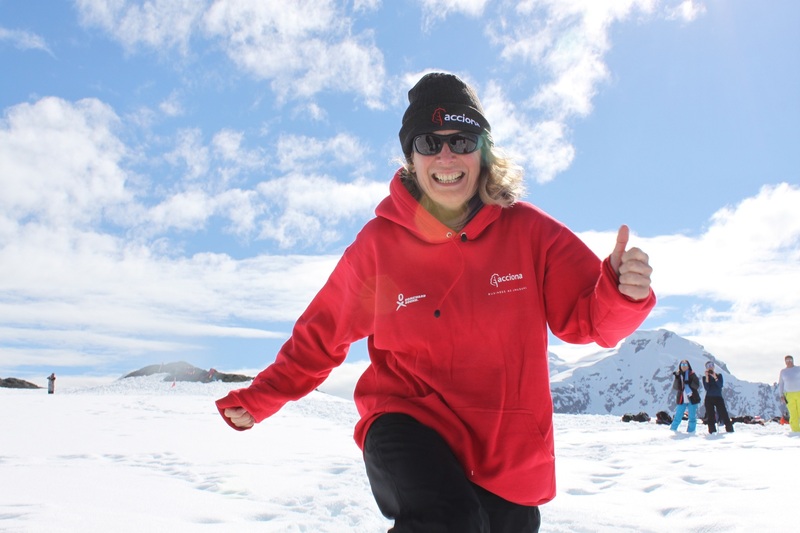 Seeing first hand, how quickly the glaciers are retreating and the area is changing, makes the Homeward Bound goal of building a sustainable global future even more important.